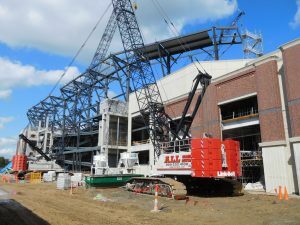 A photo shows the erection of the left-field terrace-level trusses. Architectural renderings describe the exterior east side. The Atlanta Braves called Turner Field home for nearly 20 years, but time had taken its toll on the stadium, and the team was faced with a structure that needed nearly $150 million in major repairs. Originally built for the 1996 Summer Olympics and converted to a baseball stadium after the games, the venue needed seats replaced, lighting upgrades and improvements to several other big-ticket items. This led to the decision to build a new stadium, and, in 2014, the Atlanta Braves broke ground on SunTrust Park, a $672 million, 41,500-seat Major League Baseball (MLB) stadium, which it would call home in 2017. 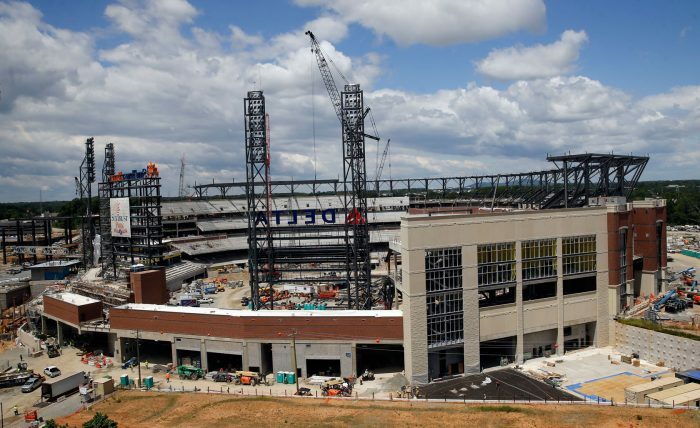 The team’s lease had expired at Turner Field, putting on pressure to wrap up construction and have the stadium ready for opening day of the 2017 baseball season. The entire project was completed in just 36 months, one of the tightest schedules for MLB stadium construction, ranking second behind Nationals Park in Washington, D.C. The hybrid structure of the stadium was key to meeting the project’s tight timeframe. 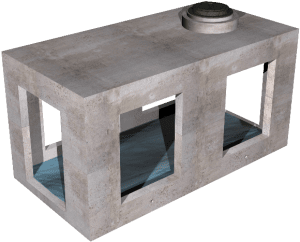 American Builders, the contractor, evaluated several structural system options but ultimately selected a concrete system with steel on top to speed up the construction process. The concrete also was self-performed, which gave the team better control of schedule and costs. 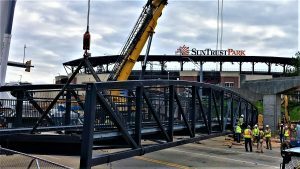 SunTrust Park came with a variety of structural steel elements, each with its own unique set of challenges that required more than 60 permit loads to ship. Accommodating an expedited schedule meant shipping various structural components and reducing erection time onsite. This included four 175-foot light towers that were detailed and fabricated in 30- to 50-foot sections, fully assembled offsite to ensure the proper fit, and then disassembled and shipped to Atlanta. Each light tower consisted of four tiers of frames, designed so they could be split into two separate frames per section for shipping. Initially, for each section, the two frames were intended to be assembled on the ground in the field prior to erection, using multiple field-bolted concealed cruciform splices between diagonal pipe sections. 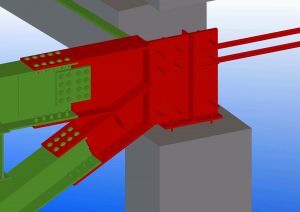 However, the project’s BIM software, Trimble’s Tekla Structures, enabled close coordination between the modeler/detailer, BDS VirCon, and the fabricator, Hirschfeld Industries, allowing them to modify the initial design concept so the light towers could be shipped as three completely welded sections; lower and middle sections at around 30-50 feet long, with the top section at 95 feet long. This eliminated a significant number of pipe field-splice connections and cut down on erection time on the field. To cut and weld the ends of the connecting circular pipe, the team also applied Tekla HGG tube macros to the model, allowing XML-format files to be easily extracted and imported directly into the pipe-cutting machinery. This ensured accurate fit up of the pipes, which connected from multiple angles into a single node. 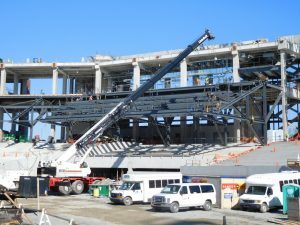 To support a two-month erection schedule, 43 terrace-level raker trusses, ranging in weight from 11-30 tons, were detailed, fabricated, assembled and shipped directly to the site. Prior to raker truss erection, built-up plate-connection nodes were set on and poured into the concrete columns. The raker trusses fabricated and shipped were approximately 78 feet long and 16 feet wide. 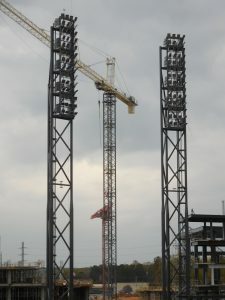 A photo (above) shows the right-field light towers being erected. Cranes were used to erect the extra large canopy support columns (below). The 110- by 120-foot scoreboard support structure included nine levels of shop-welded catwalk frames that provided access to the back of the 64- by 121-foot scoreboard, which was one of the first areas to be erected. The stadium’s cantilever canopy structure is supported by column frames consisting of 36-inch-diameter pipe columns anchored to the upper bowl level, and 18-inch-diameter backspan pipe braces and struts that connect with concealed splice details for a seamless canopy support structure. The 108,000-square-foot canopy provides shade for 60 percent of fans, is the largest in MLB and is approximately three times larger than canopies found in most ballparks. 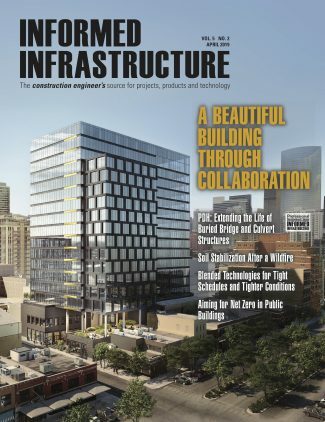 The tight schedule meant that architects, engineers, the general contractor, detailers, fabricators and other project teams had to collaborate closely or face delays that could throw the project off track. 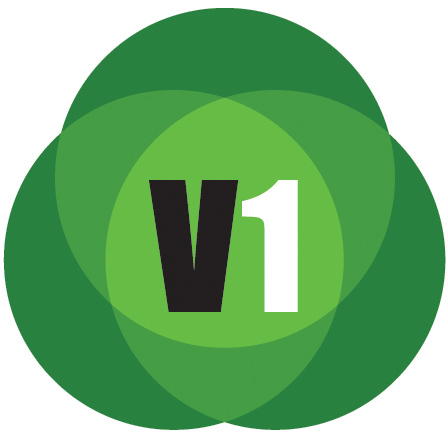 It was a true team effort from everyone that led to the project’s success. Anchored by SunTrust Park, the new home of the Atlanta Braves, The Battery Atlanta is a 1.5-million-square-foot mix of culinary, entertainment, shopping, accommodation, commercial and residential experiences. A safe and efficient pedestrian connection was needed to connect the nearby community and baseball fans to this new “mini-city” and stadium at the intersection of two major multi-lane parkways. Big R Bridge partnered with Reeves Young Contracting to develop the final layout and aesthetics of the two bridges, eight connecting ramp sections and two stairways. AECOM was the design partner, and Massana Construction performed installation and concrete work. Big R Bridge provided the final design and fabrication of all components. The biggest challenge was working within the small footprint and meeting ADA compliance. 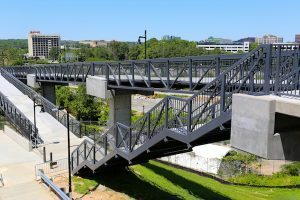 Big R Engineers worked closely with AECOM on the final layout of the bridges and ramp system, with integral landings built into the stairs to meet ADA requirements. 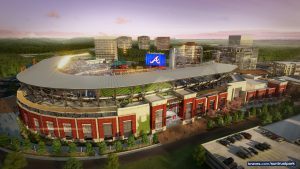 Real estate advisor firm JLL provided overall project management for the Braves stadium and coordinated all the developers, architects, engineers and contractors onsite. They were integral in making sure the bridges were designed to coordinate with the stadium’s architectural features, including lighting and integrated signage for the combined destinations. All the bridges, ramps and stairs were fully fabricated at the Big R Bridge plant and broken down in sections for shipping. Each bridge was assembled and placed in one day. The three larger ramps had a longitudinal splice and took a half-day each to assemble and lift into place. The five smaller ramps and two sets of stairs were shipped in one piece, allowing them to be lifted off the trucks and set directly into place. All was ready in time for the big game, with Hank Aaron throwing the opening pitch. BDS VirCon relied on Tekla Structures to detail 6,800 tons of structural steel. 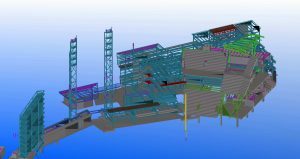 Tekla Structures allowed the modeler/detailer to easily export and share 3D models and collaborate with other trades such as structural precast, architectural precast and MEP. Tekla Structures 3D models the view toward the right-field “Chop House” structure (top), with office buildings in the background. Note that the image shows a few rendering errors—dark triangles in the image. The below image details the truss connecting to a node embedded in concrete. During bi-weekly coordination meetings, BDS VirCon’s team shared the Tekla model with other trades to resolve problems efficiently and stay on schedule. 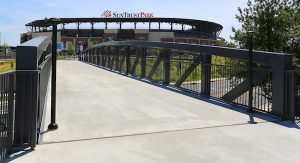 To see the project come together, check out a timelapse video of SunTrust Park construction from start to finish on YouTube. Author’s Note: For more information on this project, contact Christopher Pfeiff, P.E., LEED AP, vice president of Virtual Construction; e-mail: chris.pfeiff@bdsvircon.us. The underground rainwater detention system at the Atlanta Braves’ new SunTrust Park stadium includes two distinct sites: East Deck Lower, representing 88,056 cubic feet, and East Deck Upper, representing 96,992 cubic feet. Although those sites may seem expansive, the height of cover, compactness of space and need for a 40-percent-smaller footprint made other conventional detention systems impractical, and a cast-in-place system would have added more than six weeks to the project timeline. Infrastructure Contractor: Plateau Excavation Inc.
Julie Bertils, Oldcastle Stormwater’s southeast territory manager, believed the company’s proprietary StormCapture system would be ideal for the project. Offering up to 1,260 cubic feet of storage per module, the system will retain rainwater runoff from all perimeter drives and parking areas for 24 hours before slowly releasing it into the downstream stormwater system. StormCapture modules are made of concrete with a service life of 100 years. Access points are at the top, offering the ability to walk around inside. Placing a StormCapture module typically takes about 15 minutes, with only 2 inches of leveling sand needed under each module. East Deck Upper required placing 78 modules, and East Deck Lower required 65 modules. 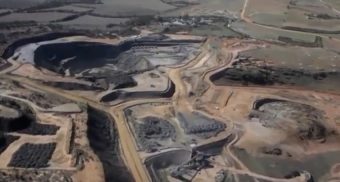 Of course, the project had some challenges, the largest of which was getting Georgia Power to move one line that powered everything in the stadium. Electricity had to be turned off for 30 minutes to get one of the modules set, meaning all other construction activities were temporarily put on hold. Project partner Plateau Excavation initially installed StormCapture modules onsite for a cistern under the dugout in 2015. The company then recommended the StormCapture system for the East parking-area detention system in 2016.